Pure bath Luxury! 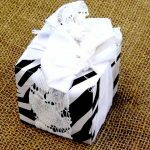 A gorgeous set of 12 little bath truffle melts in a variety of cute shapes for super moisturising and nourishing the skin while you’re in the bath. The fragrance is that of rich cocoa butter and chocolate with sweet orange and coconut undertones. 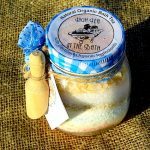 Take care when getting in and out of the bath as the beautiful organic butters and oils may make it a little slippery. 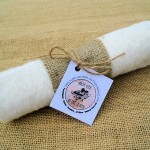 Pure soft natural cotton washcloth, especially suitable for sensitive skins and babies. Rinse and dry gently between uses for longer lasting wear. Can be machine washed gently on warm or cold cycle, but not hot or the cotton will shrink faster. 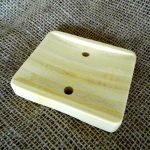 All wood, natural bamboo soap dish contains two holes for draining your soap. 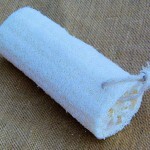 Fits High Tea in the Bath bars of soap perfectly to give your soap longer lasting hardness and lather by allowing to dry and drain between uses.